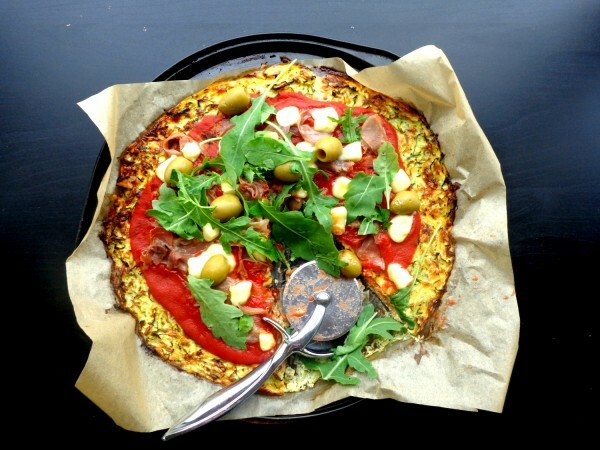 This pizza recipe is inspired by the first pizza recipe in Breaking the Vicious Cycle which for those of you who don’t know is the book which outlines the Specific Carbohydrate Diet (SCD) in detail. I have adapted it to make the base nut free. I try to keep my main meals nut free if possible so that I can enjoy delicious almond goods as snacks throughout the day guilt-free! I have found that eating too many nut products in one day can wreak havoc with my digestive system not to mention waistline! When I was returning back to work after maternity leave, I was looking for breakfast ideas that would be easy to bring with me and have at my desk. 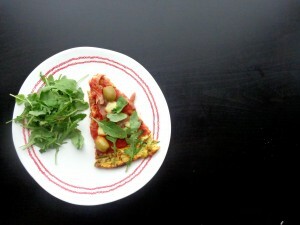 Then it came to me: why can’t I have pizza for breakfast? 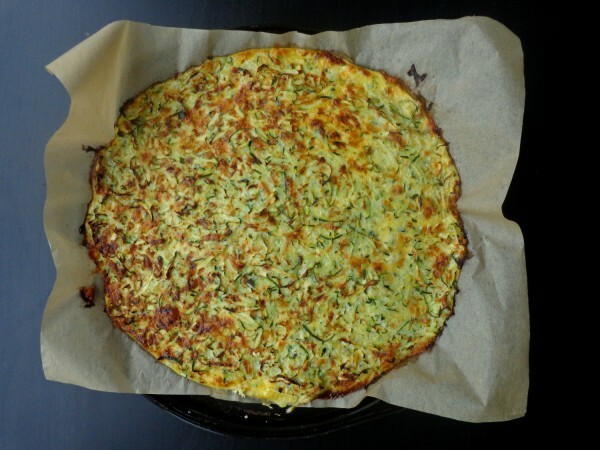 It has eggs, cheese and shredded courgettes-all of my favourite things. Be creative with the toppings. Sometimes I just stick to cheese and tomato but other times I top with olives, prosciutto, poached pear and cheese, roasted veg or whatever leftovers I have in the fridge. I also love that by calling this a pizza, my daughter doesn’t realise that she is eating a lot of courgettes! I know, I know. I’m a mean mom! Preheat the oven to 180 ° C/gas mark 4 or 350°F. 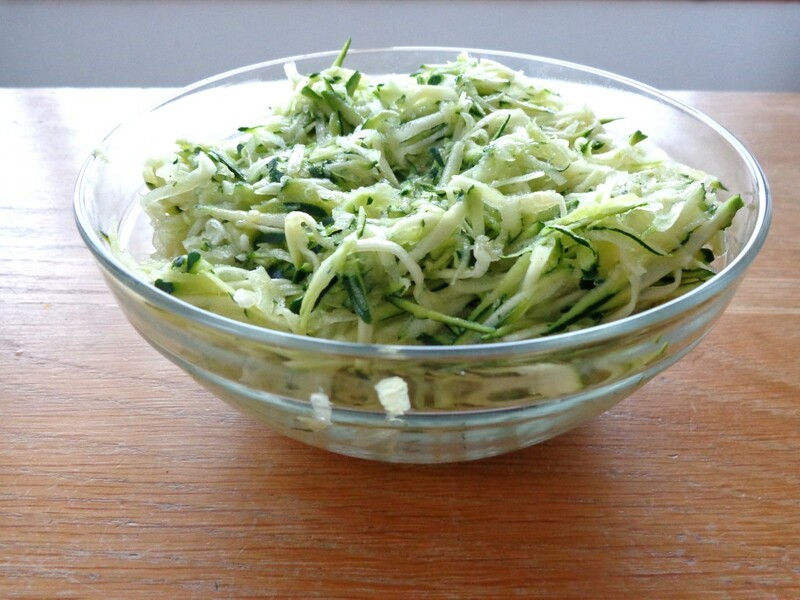 Peel and grate the courgettes/zucchini. Sprinkle with sea salt and leave for 15 minutes. Meanwhile, grate the cheese and lightly beat the eggs in a separate bowl. When the 15 minutes is up, squeeze as much water as possible out of courgettes/zucchini using a colander. 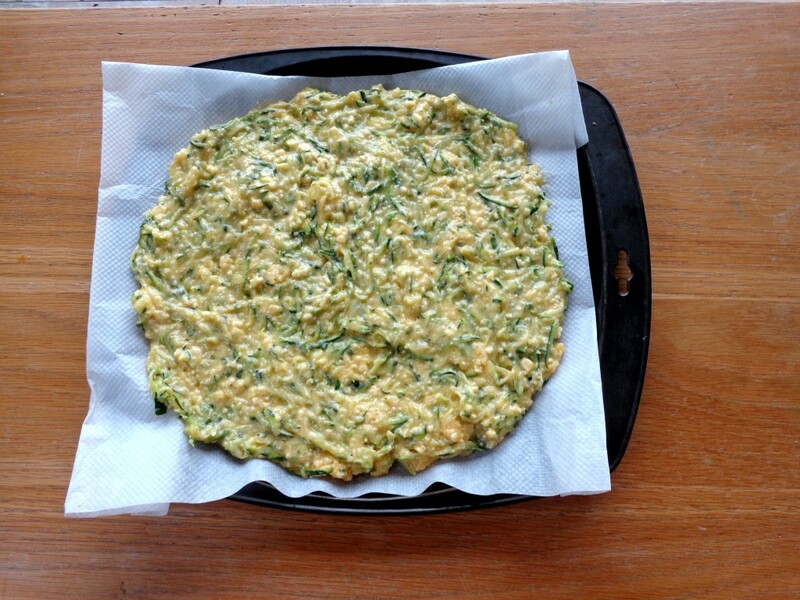 Mix courgettes/zucchini, cheese and eggs well in a bowl. Place on a pizza tray covered with some parchment paper. Bake for 20-30 minutes. You will need to keep an eye on this because it can burn easily. I find 20 minutes in my oven is usually enough. 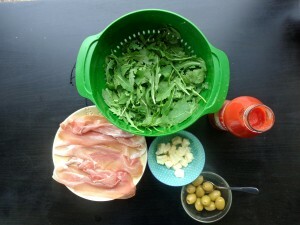 Remove and put on your toppings (except rocket). Bake for another 10 minutes or less until cheese is melted on top. Serve with fresh rocket. 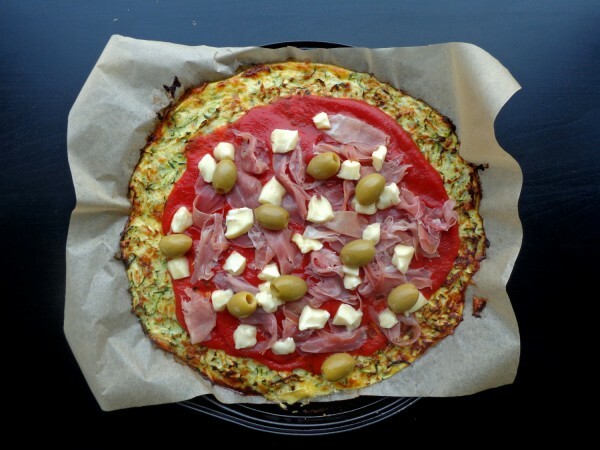 This pizza keeps well in an airtight container in the fridge for 2 days and can be reheated in the microwave or a warm oven. * Technically passata and tinned tomatoes are not legal on the Specific Carbohydrate Diet (SCD). 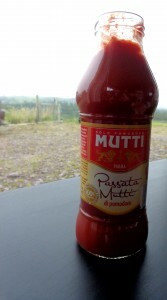 I only use one brand: Mutti which I have verified with the company are completely sugar-free and 100% tomatoes. You should check with the company if you are not sure before using a new brand.